If you just had enough of Bitcoin forks lately, then this might be of interest – an upcoming Litecoin fork called Litecoin Cash (LCC) is coming up shortly and it will be using SHA256 as mining algorithm among some other changes. 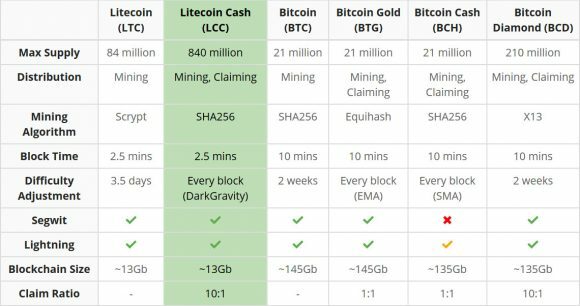 The Litecoin Cash (LCash anyone?) will be forking at Litecoin block which should occur on or around February 19th, 2018 will have a 10:1 claim ratio for Litecoin (LTC) users holding their coins in a local wallet or a compatible exchange or service that will support LCC. The maximum LCC supply will also be 10 times higher at 840 Million and the block reward will also be 10 times higher than what Litecoin currently has, so 250 LCC per block. The target block time remains at 2.5 minute, though difficulty adjustment will be changed, LitecoinCash will be using Evan Duffield’s proven DarkGravity V3 algorithm from Dash to recalculate mining difficulty on every block. There will also be a a slow start for the mining so block rewards will start at 1.25 LCC and grow to 250 LCC over the first 400 blocks after the fork. Unfortunately there is also a mention of a premine, supposedly less than 1% of total money supply at fork time to be paid to a development fund (should be about 5.5 Million LCC). 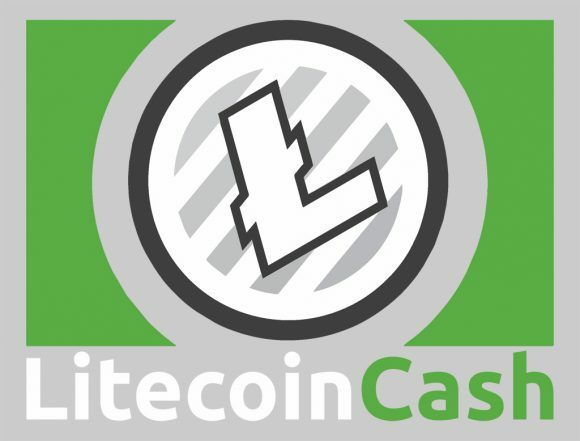 The reason that the team behind Litecoin Cash (LCC) cites as choosing to switch to SHA256 proof-of-work algorithm for mining is that this should enable a new use for previously obsolete Bitcoin mining hardware. While that may be true it will also open up the doors to large mining farms using up to date Bitcoin mining hardware, so well… good luck with that if things pick up fast. The “small premine” is not small at all even at 1% considering that there are already 55 Million Litecoins in circulation (out of 84), so around 550 Million at forking time for LitecoinCash out of 840 Million. The 1% premine is 5.5 Million LCC or 550 Thousand LTC, looking at it this way certainly does not make it “small premine”, does it? So next up anyone else seeing Litecoin Gold or more likely Litecoin Silver with Equihash or another GPU friendly mining algorithm? Anyway, nobody holding LTC is going to refuse some free coins, just be careful and always transfer your Litecoin coins to a fresh address first before importing any private keys into LitecoinCash or any other fork wallet for that matter. Here is how Charlie Lee (the creator of Litecoin) has comment on Twitter regarding LitecoinCash (LCC) and any other forks that use Litecoin as a part of their name, according to him “any forks that you hear about is a scam trying to confuse you to think it’s related to Litecoin”. 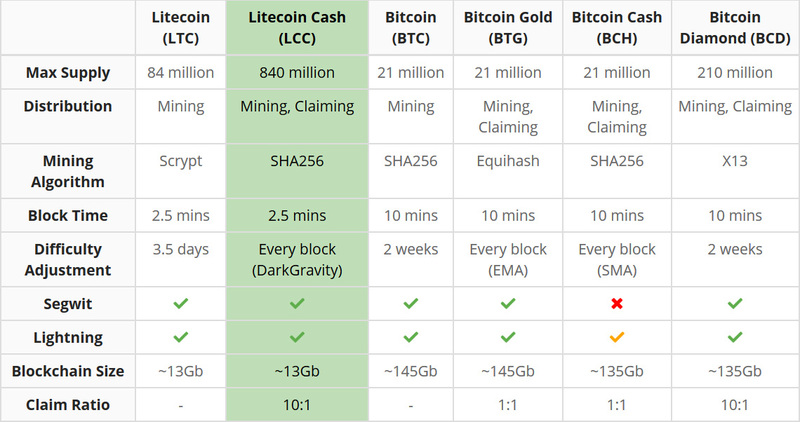 It is up to you to decide for yourself should you support LitecoinCash (LCC) and/or any other forks that may come out bearing the name Litecoin something.